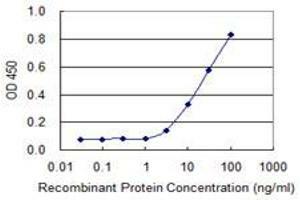 Detection limit for recombinant GST tagged GNAQ is 1 ng/ml as a capture antibody. 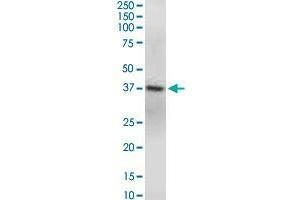 GNAQ monoclonal antibody (M04), clone 3B9. Western Blot analysis of GNAQ expression in Jurkat. 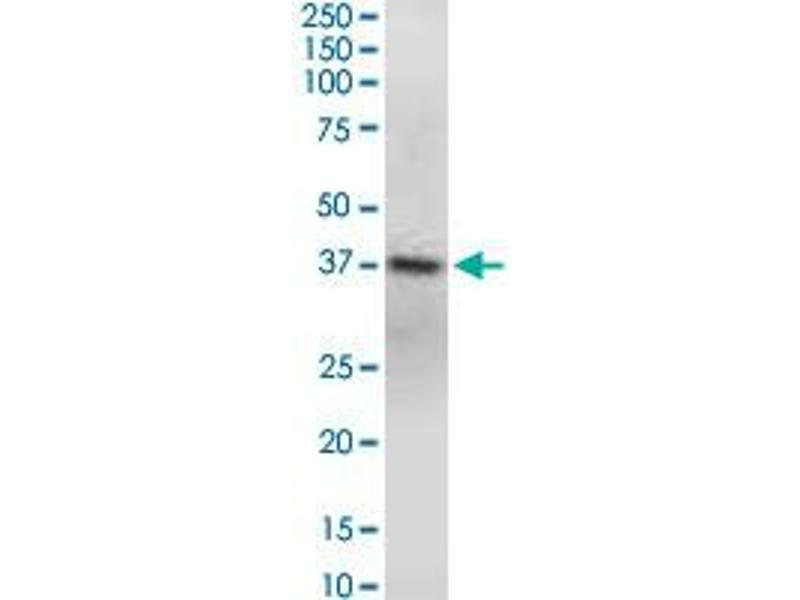 GNAQ monoclonal antibody (M04), clone 3B9. Western Blot analysis of GNAQ expression in Raw 264.7. GNAQ monoclonal antibody (M04), clone 3B9. 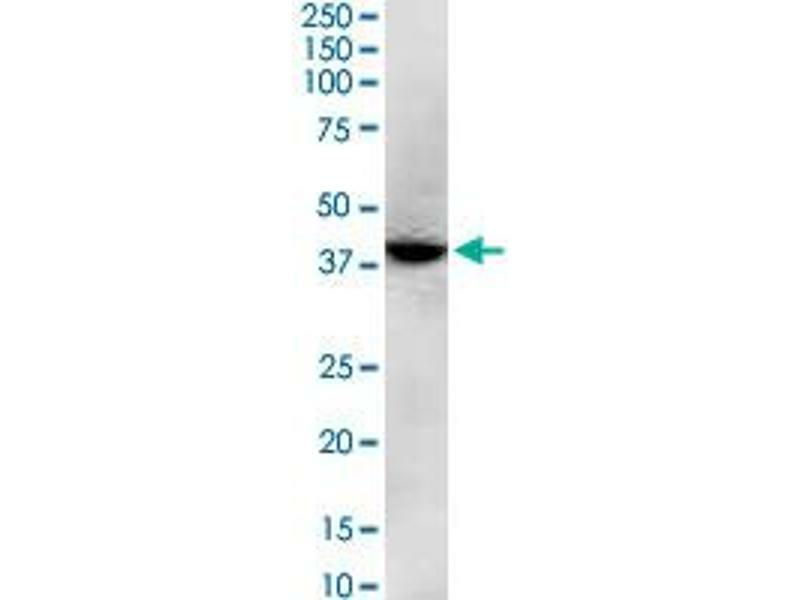 Western Blot analysis of GNAQ expression in PC-12. 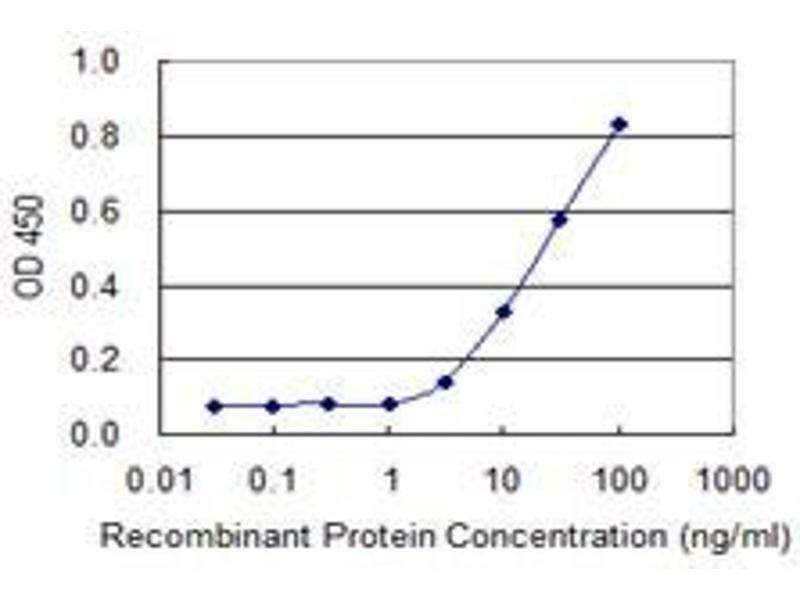 免疫原 GNAQ (NP_002063.2, 101 a.a. ~ 200 a.a) partial recombinant protein with GST tag. MW of the GST tag alone is 26 KDa. 注意事项 Aliquot to avoid repeated freezing and thawing. 储存方法 Store at -20 °C or lower. Aliquot to avoid repeated freezing and thawing.